We are a leading Service Provider of sikacim waterproofing admixture from Mumbai, India. We are a prominent Sikacim Waterproofing Admixture supplier in Mumbai, India. 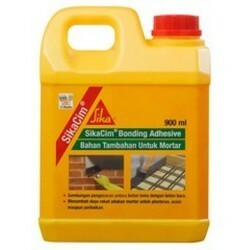 Our Sikacim Waterproofing Admixture is made under the supervision of experts who make it using the best quality ingredients. Our Sikacim Waterproofing Admixture comes from the reliable vendors who offer it in an efficient packaging as pre the needs of the clients. It is free from Chlorides, ready for use for manufacturing waterproofing concrete and mortars. Casting of roof slabs, DPC, beams, columns, water tanks, culverts, tunnels, sewerage works etc. Excellent for internal and external plaster of buildings etc. Used as Concrete layers of Swimming Pools, Basements, Reservoirs, Waste Water Treatment Sessions, Facade walls, Floor Toppings, Canals, Wells, Culverts, etc. Looking for Residential Construction Chemicals ?